A Celtic warrior from the days of the Roman Empire is transported into the distant future by his wife's descendant and compelled to join the crew of the spaceship Jolly Roger in their resistance to totalitarian rule on Earth. 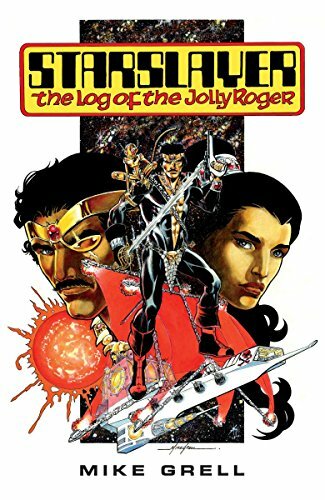 A wildly popular classic comic appears for the first time in a collection of the "Director's Cut" of the series, originally published by Windjammer at Valiant, but also including a wealth of extras including sketches and commentary from legendary comic creator Mike Grell. This is the first time Starslayer:Director's Cut has been collected in one volume! Includes a wealth of extras such as sketches and commentary from creator, Mike Grell. Featuring an all-new cover by Grell! View More In Dark Horse. If you have any questions about this product by Dark Horse Comics, contact us by completing and submitting the form below. If you are looking for a specif part number, please include it with your message.